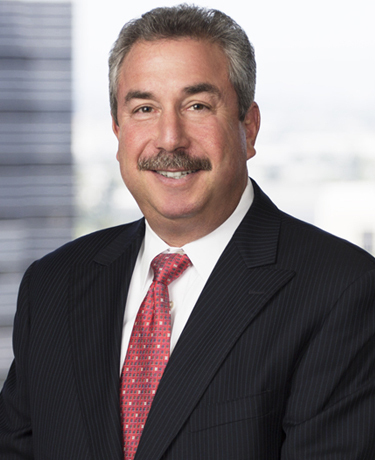 Ernest L. Weiss joined the Klinedinst Orange County office in 2005 and became Shareholder in 2008. Prior to joining Klinedinst, Mr. Weiss was Senior Trial Counsel with a national commercial liability insurance carrier. In that position, Mr. Weiss conducted successful jury trials in a wide array of catastrophic injury and wrongful death cases. He has continued to successfully conduct jury trials with Klinedinst, emphasizing the defense of traumatic brain injury, serious burn and substantial orthopedic cases. Mr. Weiss’ practice includes the defense of product liability lawsuits where he has obtained defense verdicts on behalf of national and multinational clients that design, manufacture, and distribute consumer products. He also serves as national litigation coordination counsel for a leading US manufacturer of consumer products. Mr. Weiss represents various commercial transportation companies. Over the course of his career, he has succeeded in obtaining jury verdicts in transportation cases involving tractor-trailer, loading and offloading, and other vehicular accidents. Mr. Weiss’ clients include commercial property owners, managers, and businesses. He represents national retailers, restaurants and other hospitality businesses in a variety of premises liability matters, emphasizing security cases as well as property condition matters. Additionally, Mr. Weiss defends clients in matters arising out of construction site accidents and work place occurrences. He has defended elder abuse claims including on behalf of residential care facilities and has defended numerous professional liability claims, including on behalf of attorneys and insurance and real estate brokers and agents. Mr. Weiss has successfully tried employment matters and continues to represent clients in employment and discrimination matters. In his previous position as Senior Trial Counsel, Mr. Weiss served as faculty member of his carrier’s National Institute of Trial Advocacy program, and he served as liaison counsel between the legal, claims and underwriting departments. Mr. Weiss received his J.D. from McGeorge School of Law, University of Pacific in June, 1983. He received his B.S. in Political Science with an emphasis on International Relations from Santa Clara University in June, 1979.